You don’t need us to tell you that in 2016, streaming is kind of a big deal in certain circles. But did you know that the amount of people watching Counter-Strike: Global Offensive is equal to more than 10% of the people actually playing it? We’re talking upwards of 60,000 people at the busiest times, often with tens of thousands of people watching the same channel. 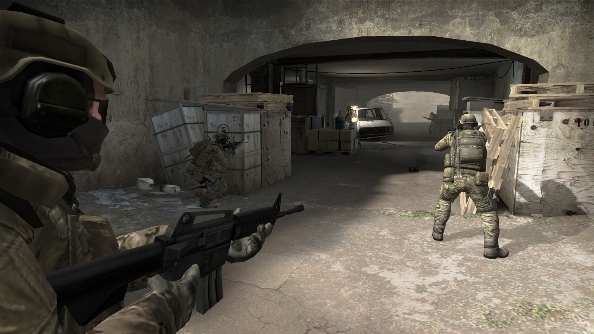 Counter-Strike is a mainstay on our list of the best FPS games. 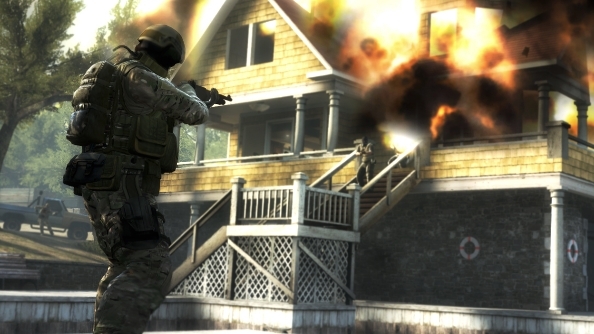 But what is it about Counter-Strike in particular that makes it such a popular spectator sport? Looking at the biggest streamers from across the year, it quickly becomes obvious that people are drawn to the sportsmanship and competitive nature of CS:GO. According to Gamoloco, a stats-tracking website for streams, the biggest Counter-Strike streamer from the past year is the official ESL channel, which had an average of 17,446 concurrent viewers during its 3,900 hours of broadcasting. At its biggest moment in the past twelve months, 787,799 people were watching the ESL Counter-Strike stream. For comparison, the highest number of concurrent players CS:GO has ever had is 850,485. It’s safe to say that, during tournament time, watching Counter-Strike is almost as popular as playing it. ESL is, of course, the world’s largest esports organisation, and so its streams are heavily focused on tournament play. The appetite for pro-level play can be seen throughout the biggest Counter-Strike channels on Twitch: coming in closely behind ESL is Dreamhack, and many other streamers have professional gaming backgrounds. The largest non-organisation streamer is summit1g (AKA Jaryd Lazar), a huge name in the world of CS. Once a professional player, he now streams full-time on Twitch as his main occupation. With an average of 15,000 viewers at any one time, he’s a big deal. It’s no wonder his channel is sponsored by Cyberpower, Corsair, and Audio Technica. While there are streamers in the top ten who don’t have sponsorship deals, a large percentage do. Audio Technica also have their name emblazoned on JoshOG’s channel, which brings us to the other side of Counter Strike streaming: betting. In the popular circles, there are two very clear areas of focus: either the super-serious, hyper-competitive world of pro-play, or the more ‘fun’ area of gambling. 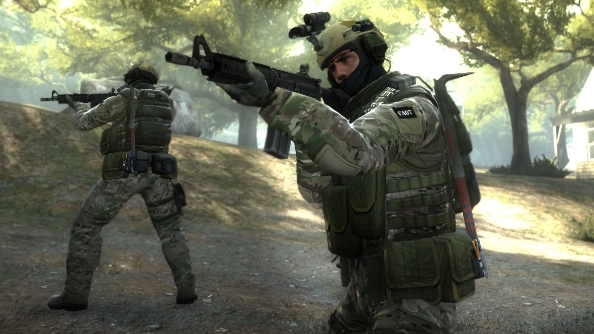 Counter-Strike: Global Offensive has become a huge platform for betting and gambling weapons skins. 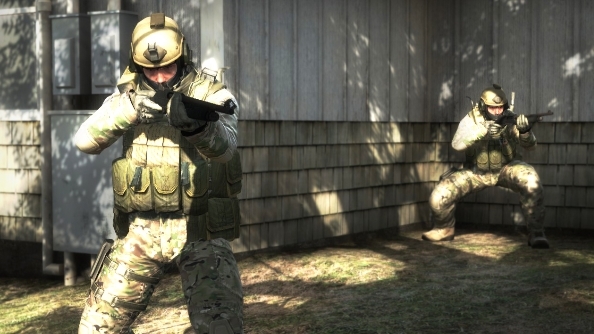 As you may know, the loot drops within CS:GO can be worth quite an amount of real-world cash on the Steam Marketplace, and so are the centre of a sizable phenomenon. The skins are used as the betting currency on matches, such as the ones seen on JoshOG’s channel. While the tone of these channels is certainly upbeat compared to the sometimes dour notes of tournament play, these are still serious streams; money is at stake. Aside from betting, JoshOG also offers giveaways of CS:GO items, offering bigger chances to those subscribed to his channel. Free things draw people in like magpies to tin foil, so it’s no wonder JoshOG normally sees over 4,000 people concurrently viewing his channel. Right now, flusha from eSports team Fnatic is proving immensely popular, frequently pulling in over 10,000 viewers. It’s demonstrative of the trends of CS:Go on Twitch: people seem to be drawn to players who have history and dedication to the game. Flusha is ingrained in the CS scene, having previously been a Counter-Strike 1.6 player before moving onto GO. The same can be said about summit1g, with a career spanning back to the days of Exertus eSports. There’s something to be said for the simple accessibility of watching men shoot each other. It may be the lead-in to something much more in-depth, but it’s difficult to deny the pleasure of watching someone with impressive skill score a chain of kills. And perhaps that’s all that it takes to kick-start a genuine phenomenon. 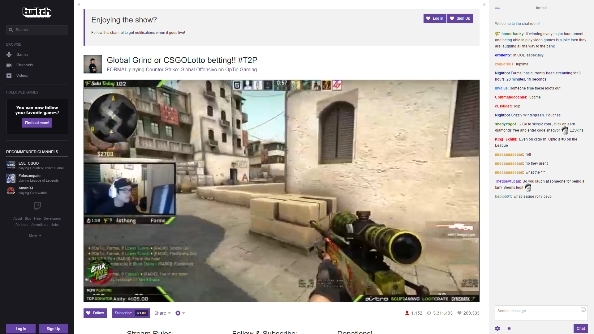 Do you watch Counter-Strike: Global Offensive on Twitch? Let us know your favourite streamers and why you love to watch in the comments.